Inspiration: Building an indie game in Texas, the home of thousands of ranchers living in middle of nowhere, ghosts can become a real menace. 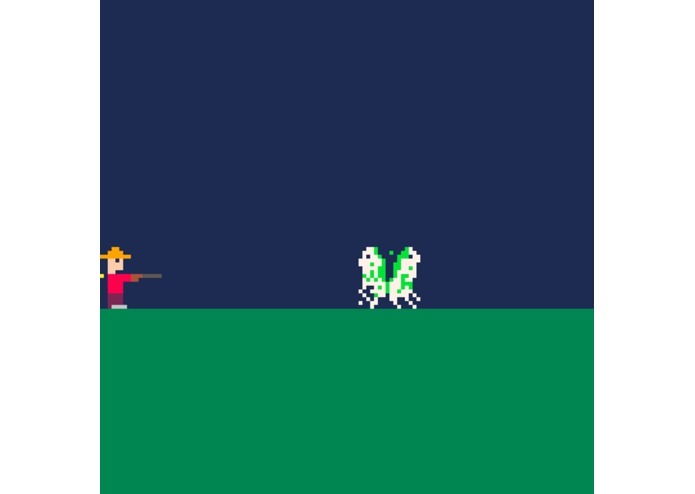 Our good ol' ranchers rely on their reliable god ol' silver bullet shotguns to deal with those pesky creatures from the supernatural realm, this game is an attempt to let you have a taste of their life regardless of how old or underpowered or computer is. What it does: You a rancher? Then pull out your shot gun with upper arrow key and shoot that damned ghost to with front arrow key to the place where he belongs. Then keep your gun back with down arrow key. Only to meet more of those menaces showing up askin' for a bullet. How I built it: I used a retro game building fantasy console game making platform called "Pico-8" with very low learning curve and completely based on LUA, a procedural programming language perfect for converting your ideas into reality in no time. Challenges I ran into: All of my team members had to leave due to an unexpected emergency, I was all on my own, with no major progress on our planned group project at 2 am. I had to do something, cool, doable and have fun doing it. Accomplishments that I'm proud of: this is my very first game ever! 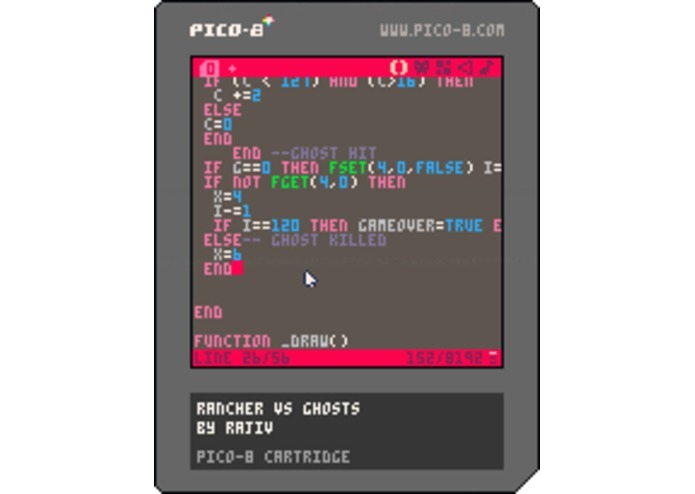 I learnt about Pico 8 at a workshop conducted by one of the game development professors at my school(SMU). And made a legit game solo, that can be played! What I learned: Procedural language can be a real pain in the... ahem... to modify and debug. What's next for Ranchers Vs. Ghosts designing new levels, multiple ghost spawning, oh and yes, make the Texas night sky "starry". Our team planned on making a simulation of blackhole in AR for Machic leap using Open GL. But unfortunately, almost everyone had to leave due to an unforeseen emergency, everyone except me, so I decided to make a game out of a platform designed to build retro games in Lua. I came up with an idea that was funny, doable and sounded interesting with me and started giving shape to it, and since it's a 128x128 screen with just 16 colors, designing was a total breeze compared to other platforms. And this is the shape my solo project is in during submission time.